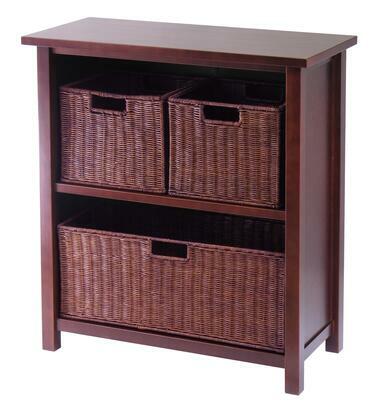 Simple design yet function and attractive storage shelf with 3 wired baskets is perfect for your any room in the home. Wood finished in Antique Wanut color. Two small and One large baskets.